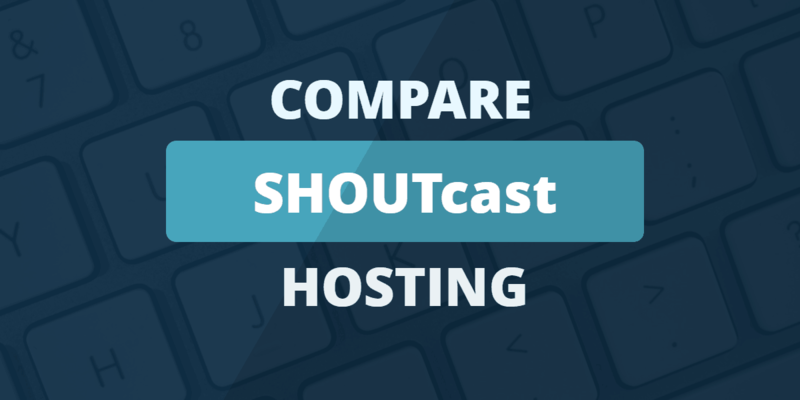 Shoutcast Hosting Compared: We Know You Want Good Audio Hosting. We Found It. Have you ever dreamed of having your own radio station? You can do it today on the Internet. SHOUTcast is helping to define this phenomenon. In this article you’ll learn what SHOUTcast can do for you or your brand. You’ll learn what you can and can’t skimp on in a SHOUTcast web host. I’ll also share my recommendations for SHOUTcast hosts also. Today, Internet radio broadcasting is more popular than ever. Hugely famous streaming sites like Radio Paradise, Pandora Internet Radio, and Last.fm serve to illustrate that fact. They allow users to discover new artists, explore a variety of genres, or just listen to old favorites. SHOUTcast radio has all that and more. Who's Best for SHOUTcast Hosting? We think BlueHost is the best choice for SHOUTcast. What makes it stand out from other Internet radio station solutions like Icecast is its focus on users and its high level of accessibility. Unlike stations on most Internet radio sites, almost all SHOUTcast stations and programs are streamed live, instead of being queued up for broadcasting ahead of time by either a person or a computer. Most importantly, anyone and everyone can create their own online radio station simply by downloading SHOUTcast software and broadcasting tools. Those are just the bare bones of what it takes to create a smoothly-running station, though. What Products Does SHOUTcast Offer? Hosting providers such as VosCast, ShoutCheap and Server Room provide comprehensive hosting plans which use many features and services to enhance your SHOUTcast streaming station. Of course, in many situations, it is also possible to run SHOUTcast on your existing web hosting plan if you’re not currently in the market to switch or don’t want to deal with the hassle. Many hobbyists choose this approach, either by reusing a plan they already have or by building DIY web servers for small SHOUTcast stations. This approach makes sense for small ventures or individuals. It involves a bit of tinkering, but, then again, it allows users to repurpose old hardware or use idle server capacity. Here’s what you need to know about technical requirements to get the right hosting for your streaming project. In terms of hardware, SHOUTcast doesn’t place a lot of load on the server. It is a very scalable audio streaming solution and you don’t need pricey high-end processors or very fast storage. 32-bit and 64-bit versions of Windows 2000, XP, Vista, Windows 7 and beyond. Linux is also supported in 32- and 64-bit flavors. BSD 8.x and Mac OS X support are also on board. SHOUTcast V1 and SHOUTcast V2 are both still in use, but the different versions have very similar requirements. The biggest difference is the use of a new Stream ID and new Ultravox 2.1 protocol in SHOUTcast V2. There is no big mystery: SHOUTcast is free and so are most plugins and modules you may need to give your Internet radio station a boost. Just because you can use the cheapest option for SHOUTcast doesn’t mean you should, especially if you care about your listeners’ experiences. So if the requirements are so low, why bother with hosting plans designed specifically for SHOUTcast? The short answer is because bandwidth is important and, more often than not, it is the limiting factor for small operators. Critical factors are bandwidth, uptime, and network support. How Many Listeners Does Your SHOUTcast Station Have? The cheapest server hosting plans, usually priced south of $10 a month, can support a limited number of listeners. The exact number depends on the bitrate, but you are usually looking at a few dozen listeners. The average $25 plan supports up to a hundred listeners. In case you want an unlimited number of listeners, you could get away with a $50 plan, but on a low bitrate — it’s more likely you will end up in the triple-digit territory if you go for a high-bandwidth (or even unlimited bandwidth) plan with more than 1TB of traffic. Can I Design My Own Hosting Plan for SHOUTcast? A number of web hosts have started offering custom SHOUTcast plans, allowing the customer to choose different parameters and create a tailored SHOUTcast host package for their radio station. This approach makes sense depending on the niche you are interested in. Dedicated plans are the best choice for ambitious users. They usually start with limited traffic and basic hardware, but users can customize and cherry pick the upgrades they are likely to need. Unmetered plans typically provide a 100Mbps connection. These plans also tend to feature RAID or SSD storage, along with quad-core Xeons and at least 8 GB of RAM. What Add-Ons Will I Need for My SHOUTcast Station? However, bear in mind that many web hosts will also require you to purchase a control panel and license, pay for proper server management, and so on. Comparing list prices is not enough — you will have to dig a bit deeper to in order to accurately compare server hosting plans, as these costs can quickly add up. If you’ve decided you’re not in need of SHOUTcast hosting provided by a niche web host (say, if you want to do other things with your site besides stream audio or video), or if you’re curious to see if your current web host supports SHOUTcast streaming, then look no further. We’ve already made a number of recommendations above in terms of the best SHOUTcast server hosting providers. Let’s start with Bluehost, our top pick for SHOUTcast hosting. 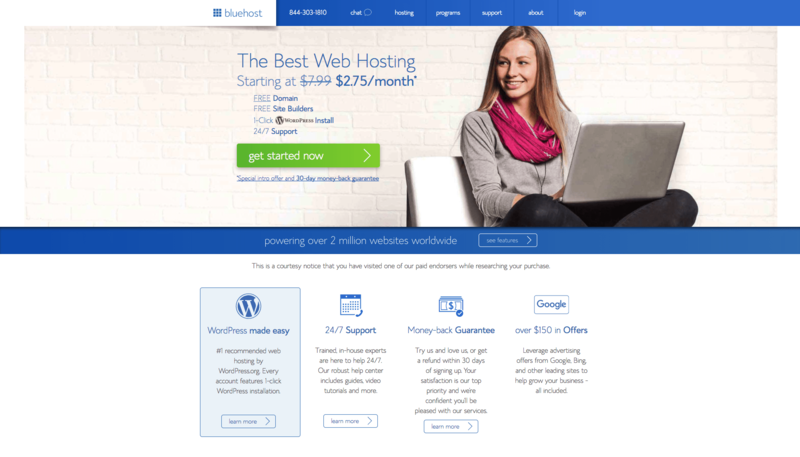 A well-known name in the web hosting space and synonymous with performance and support, Bluehost is a brilliant choice for pretty much anyone. 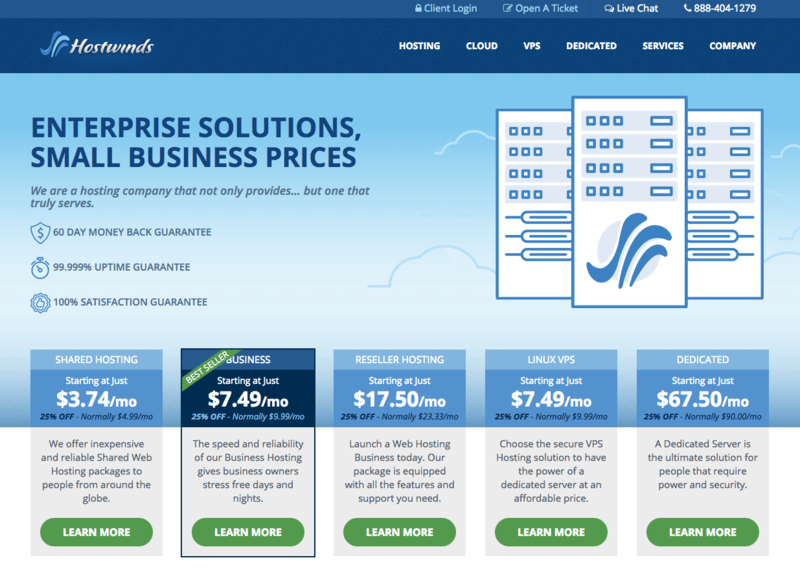 Bluehost comes chock-full of video and audio streaming features and support. With world-class technology powering its servers, you won’t have to worry about uptime performance issues while streaming your Internet radio station. This is the best option if you want VPS or dedicated server hosting that gives you control over configuration and peace of mind when it comes to performance. These plans would be ideal if your Internet radio station or podcast is brand new and you want time (and room) to eventually scale your server to accommodate traffic growth. Finally, we also recommend A2 Hosting, one of our picks for the best streaming audio/video hosting. There’s a good reason for this as, like HostWinds, A2 Hosting has plans dedicated to SHOUTcast hosting. If security, bandwidth, and ease of use are a priority for your streaming audio site, then this would be a great web hosting option to consider. As a bonus, since these plans fall under the category of managed server hosting, you won’t have to worry about configuring the server, managing upgrades, or handling other performance monitoring tasks often involved in traditional VPS and dedicated server hosting. SHOUTcast is a software application that allows anyone to stream audio over the internet. It is commonly used for creating internet radio stations. No. SHOUTcast is proprietary software and uses some proprietary data formats. SHOUTcast is installed on a server. It receives an audio source, such as an input from an audio application. SHOUTcast converts the audio data coming from the source into a streaming audio format consumable by anyone connected to the internet. Anyone who wants to listen simply opens the URL in a compatible software client, such as a media player. Can I use SHOUTcast with a shared hosting plan? Shared hosting doesn’t normally support SHOUTcast, mainly because of the bandwidth it uses. Can I use SHOUTcast on a VPS hosting plan? Yes. Check what the bandwidth limitations are, and if there are any fees for exceeding them. What type of software is needed to listen to SHOUTcast audio streams? Most mp3 players and services can play SHOUTcast audio streams, including Winamp, iTunes, and Windows Media Player. VLC Player has removed support for the SHOUTcast protocol due to licensing concerns. There is a free version of SHOUTcast. It does not include monetization features, analytics, or support. Premium editions of the software provide some or all of these features and also allow for the use of CDNs. Can I broadcast from my home computer? Yes. You can set up a SHOUTcast streaming server on your web hosting account, then connect to it from the SHOUTcast app on your own computer. Although you can skip the server and broadcast directly, this isn’t recommended. 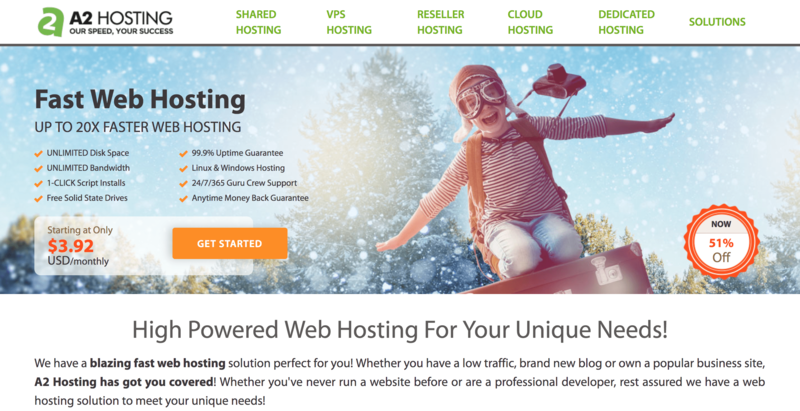 What are the web hosting requirements for SHOUTcast? You can run SHOUTcast on Linux, Mac, or Windows web hosting, providing your plan supports it. Can I use SHOUTcast for streaming video? Yes. SHOUTcast supports the streaming of video. What is the difference between SHOUTcast v1 and SHOUTcast v2? SHOUTcast v1 is not supported by modern browsers, as it uses non-standard ports which have been deprecated. SHOUTcast v2 is fully supported, and also adds API support. How much bandwidth do I need to stream SHOUTcast audio? There is no set limit, because it depends on the bitrate, which will vary depending on whether you’re broadcasting audio or speech. It also depends on how many users are listening. Do I need a dedicated server for SHOUTcast? If you plan to broadcast high-quality audio, or build a large audience, a dedicated server is a good idea. It will provide room to grow, while giving you complete control over the software. As with a VPS server, check the bandwidth limits carefully. Can I use SHOUTcast to run a station in iTunes Radio? Yes. You can submit your SHOUTcast-based internet radio station to iTunes. Your station will need to be approved before it appears in the directory. What are some alternatives to SHOUTcast? Take a look at Icecast v2, or use a subscription service that offers a full hosted radio platform.